How Anyone Can Link His/Her PAN Card With Aadhaar . The Government of India has made it mandatory to link the 12 digit UID number with your PAN card. The Supreme Court passed a judgement on June 9, 2017 stating that all Aadhaar card must be linked to PAN before June 30, the date is over, if you have an Aadhaar card. If you don't have one, you can rest easy. The PAN cards will become invalid if you don't link your Aadhaar card with it. This means that there are only two days left for linking process. The government has made Aadhaar a must for filing income tax returns and by linking it with PAN, it aims to keep a check on tax evasion through use of multiple use of PAN cards. However, people who do not fall under the tax limit are also required to link their cards to ensure that they do not lose their PAN cards. Those card that are not liked to UID after June 30 will be made invalid. There are two ways to link your Aadhaar with PAN card. The linking can be done either by an SMS or through the Income Tax department's e-filing website www.incometaxindiaefiling.gov.in. The only exception to this rule right now are people who do not have the Aadhaar number. The Supreme Court, which heard a challenge to the government rule, had earlier said that people who do not have Aadhaar card don't have to get one just to link it with PAN card. For such people, their Aadhaar will not be invalidated. However, for people who already have the Aadhaar card it is mandatory to link it with PAN. Or else, their PAN card will be deemed invalid and they will not be able to use. Update: Although the government had earlier claimed that not linking Aadhaar number with a PAN card will make the PAN card invalid, now there is a report that it is not so. 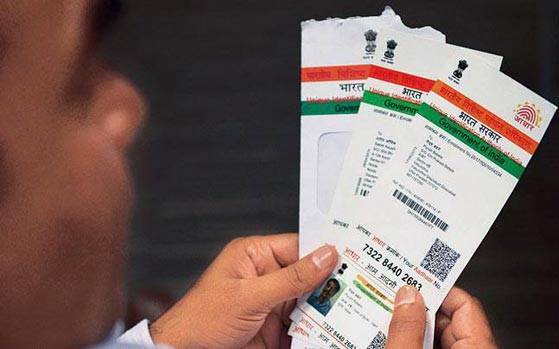 Not linking Aadhaar will not lead to invalidation of the PAN card, say reports. However, do not that even if you don't link Aadhaar and PAN together, quoting Aadhaar number is mandatory for you to file tax returns from July 1. If you don't want to quote Aadhaar number, file your returns today that is June 30. So if you have a Aadhaar number and a PAN card, here is how you can link them together. Also Read: How To Delete Whatsapp Account Permanently. SMS: To link your Aadhaar with PAN card through SMS, type UIDPAN<SPACE><12 digit Aadhaar><Space><10 digit PAN> and send it to 567678 or 56161. Income Tax website: Visit the link www.incometaxindiaefiling.gov.in and enter your PAN card number, Aadhaar Number, your name on Aadhaar followed by a captcha code. Click on the Link Aadhaar button at the below and your cards are linked.